Awards: Green Thumb award, Direct Gardening Association; Bronze Medal, Plantarium 2016. Mass plantings, landscapes, naturalizing, cutting gardens, mixed borders. 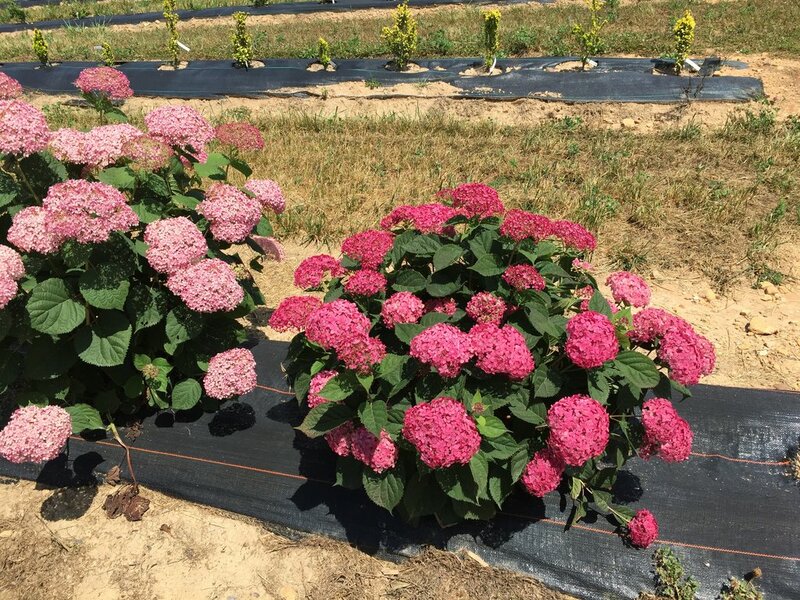 For the biggest, most abundant blooms and strongest stems, plant where it gets at least six hours of sun each day (warmer climates can get away with a bit less). A good layer of shredded bark mulch helps minimize water loss. As for pruning, cut the entire plant back by about one-third its total height each spring, just as the new growth begins to emerge on stems. 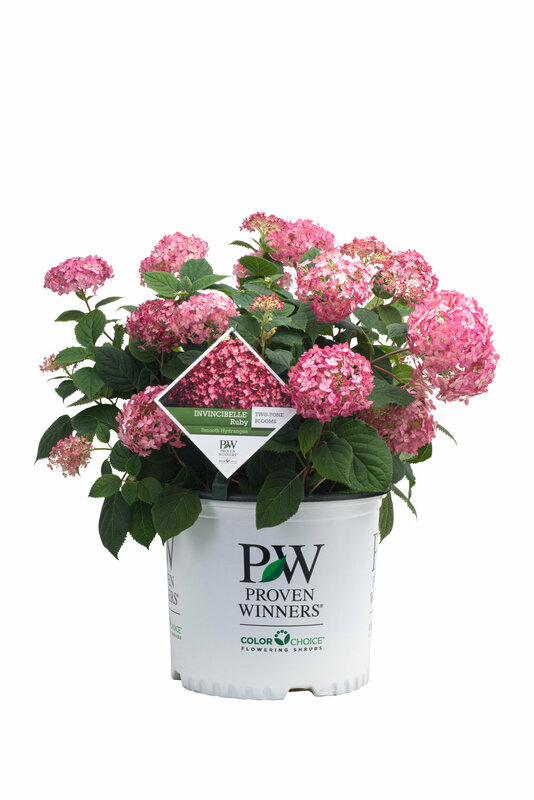 This serves to build up a strong, supportive, woody base while also encouraging abundant new growth for plenty of flowers. If you wish to fertilize, an application of a rose fertilizer in early spring, once the soil has thawed, is sufficient. Whoa! Only three and a half weeks after planting and the two Invicibelle Ruby we planted burst into flowers and looks very healthy! I would have settled for the nice dark green healthy foliage and did not expects it to flower so soon but wow, they look awesome! This plant is in its 2nd full season and looking very good. The stems are definitely stronger (better) than Annabelle. I deadhead it once a month or so and it blooms beautifully from mid-June to frost. It's planted in a west-facing area, somewhat protected from the strong winds we get at the edge of the Eastern plains in Colorado. An easy-care, long-blooming, lovely plant. 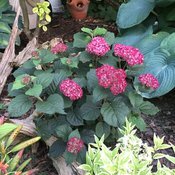 I reviewed Invincibelle Ruby Hydrangea in spring of 2016 after planting 6 of them in a relatively new garden, followed by a very hot and dry summer. 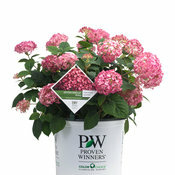 I was unhappy with the performance of them even though the website said they should be planted in full sun in a zone 7b. I really coddled these plants the first year and hoped I could keep them alive. They were watered every day that summer. Last year, I continued to baby them still not sure they would survive long term. However, they survived well enough for me to buy a 7th one. Fast forward to late May 2018. They have just started blooming and they are stunning. All 7 of these beauties have settled in and are doing wonderfully. I never imagined how strong and beautiful they would be or how much I would enjoy them. 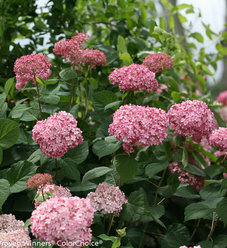 As I expand the garden around the house and into the back yard, I will be adding more Invincibelle Ruby Hydrangeas. My best advice is this - plant them in the early fall and be prepared to water, water, water for the first couple of years, lots of compost, and lots of mulch while they establish. I think planting them in a southern climate in the spring is just too hard on them but the one I planted in 2017 in the fall has done exceptionally well compared to the first year of the other 6. When this plant arrived I wasn't impressed. It was lanky and weak. When it bloomed it looks stunning - until the weight of the flowers had the branches laying on the ground and looking incredibly sad. As well, I had to keep it watered well daily when July rolled around. ... With all that said, I pruned it back by 50% as the flowers began to fade. 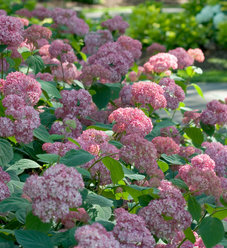 I read that for this type of hydrangea family a good cutting back makes for a stronger base for new growth (with less flopping flowers next year), but ended up pruning right away instead of waiting for fall. With that said, the plant looks really pathetic for a few weeks, then, to my surprise, it filled in more nicely after the prune. More branches and leaves. THEN... and I should add it is now mid-September, it bloomed again! And this time it is not flopping and looks beautiful. I ordered 6 of the 1 gallon Invincibelle Ruby to add to a 1 year old front garden that is in full sun. 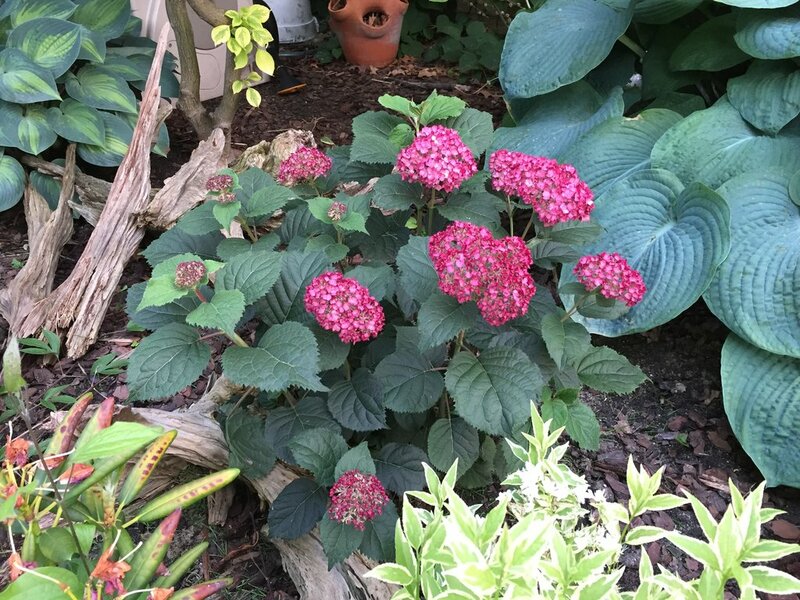 I loved the pictures and was so happy to learn that I could have hydrangea planted in a zone 7b full sun southern garden. The shrubs arrived smallish but gorgeous from the grower in late April. The week before they arrived, the planting area was tilled with compost and top dressed with 3 inches of mulch. I honestly believe the shrubs were planted in a well prepared area. By early May temps were climbing into the mid 80s. By June, the 90s. By July we were consistently hitting the high 90s with heat indices of 100+. I have deeply watered by hand on a regular basis. The 4 hydrangea that are in full sun are barely hanging on and 2 of them appear to now have powdery mildew. The 2 that are planted in part sun look better but are definitely not thriving. 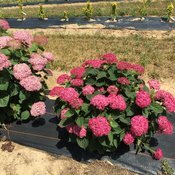 Although the information provided by PW states Full Sun up to zone 9b, be forewarned that a full sun southern garden is not a reasonable climate and probably not the best location for these hydrangea. Very disappointed and will not order again.